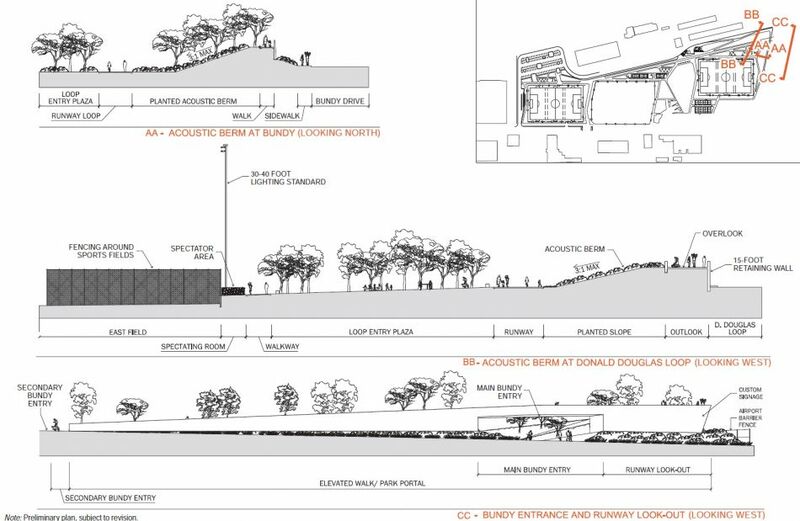 Coming on the heels of the recent historic agreement with the FAA and the announcement that the City of Santa Monica will close the Airport at the end of 2028, the new 12-Acre Airport Park Expansion moves forward with the Environmental Study. 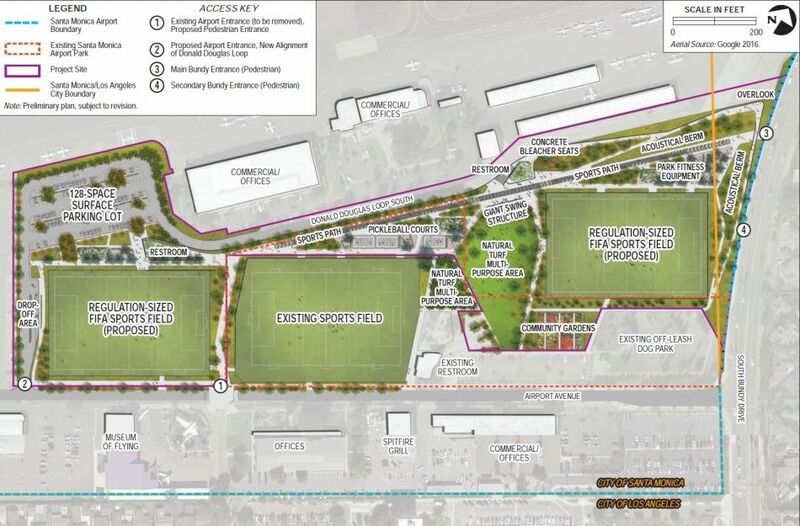 The Los Angeles architecture firm Rios Clementi Hale Studios is leading the project which was previously developed with community input that will include two new regulation sized soccer fields, 60 community gardens, a sports track, three pickle ball courts, table tennis tables, a natural turf multipurpose area, a continuous loop path, fitness equipment, children’s play area, restrooms and parking. 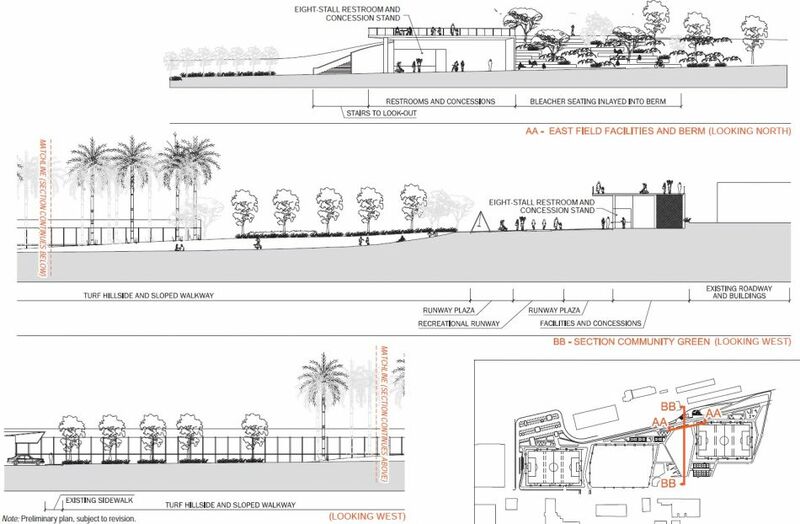 The City will hold a public scoping meeting 6:00 to 7:00 pm on Tuesday, March 21 at Santa Monica College’s Bundy Campus, Room 239. Everyone is invited. 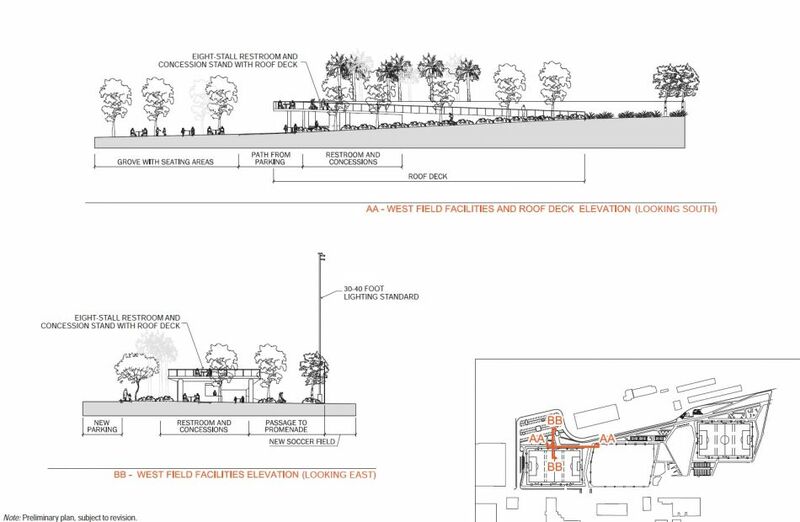 Details of the City of Santa Monica Scoping Meeting for the Airport Park Expansion Project is located here. If someone is not able to attend the March 21 meeting, is there an opportunity to submit written comments for the scoping study? If so, how?